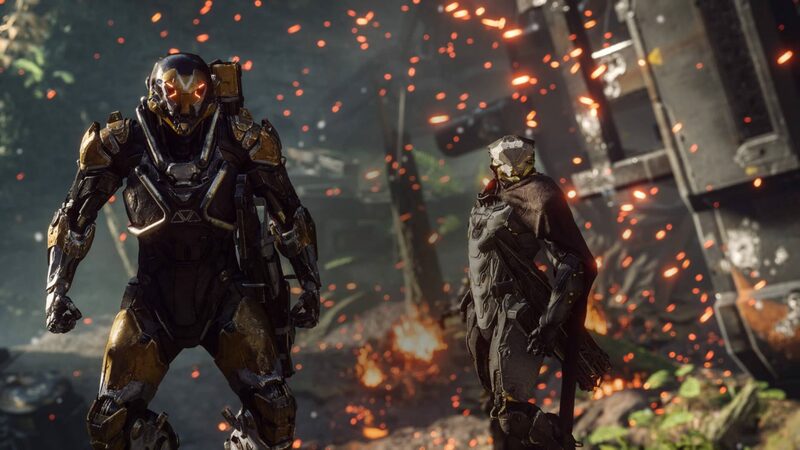 Despite a rather rough debut, BioWare and EA’s Anthem still did enough to end up as February 2019’s best-selling game. In the new NPD sales chart tracking video game sales in the United States, Anthem debuted as the top-seller of the month. 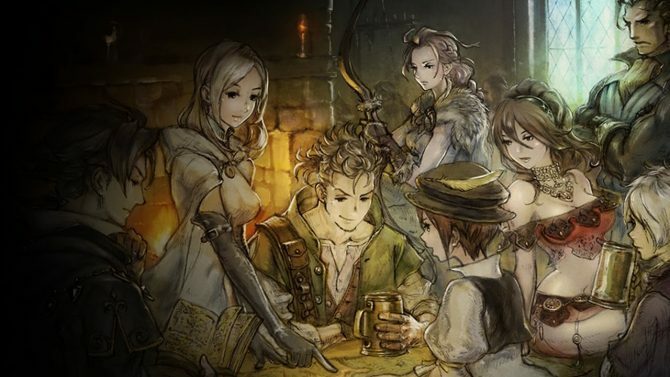 Anthem has now become the second highest-selling game of 2019 currently only trailing that of Kingdom Hearts III. It’s also the second-best debut month for a BioWare-developed game only trailing that of Mass Effect 3. As for the other notable software sales in February, Bandai Namco’s Jump Force did well enough at market to ensure itself the second spot on this month’s chart. Kingdom Hearts III, which launched at the very end of January, continued to do well enough throughout last month to achieve the third place position while Ubisoft’s Far Cry New Dawn came in at fourth. Meanwhile, Metro Exodus came in at the eighth position for February. While it is lower than some others, launch months sales for Metro Exodus exceeded that of Metro Last Light by almost fifty percent. Noticeably absent of the new releases from last month is that of Crackdown 3, which didn’t even chart in the top-20 for its own release month. While this was surely offset to some degree due to the game’s availability at launch through Microsoft’s Xbox Game Pass service, it’s still somewhat surprising to see it fail to even chart in its release month. Even among the top-10 selling Xbox One games of February, Crackdown 3 was nowhere to be seen. In the realm of hardware sales, Nintendo and the Switch continue to remain on top. Nintendo had its best month of February in terms of dollars made from hardware sales since 2011. 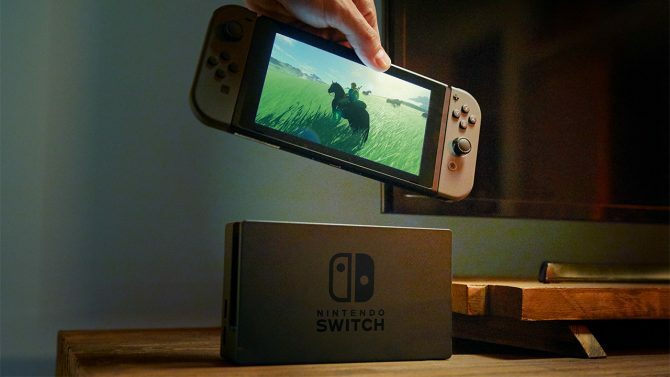 Furthermore, the Switch was also the best-selling for February 2019 in terms of both units sold and money made. As a whole though, hardware sales on the year continue to decline. 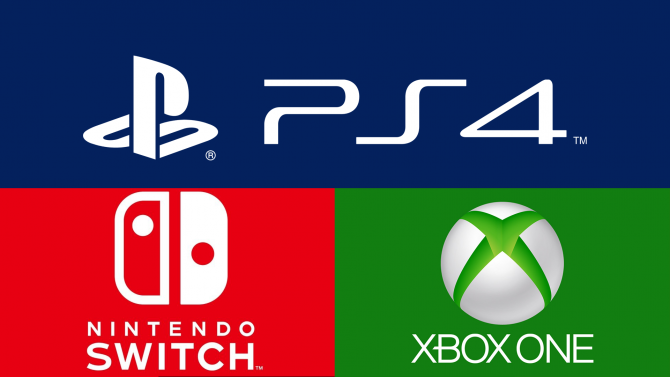 Hardware sales for other platforms continued to decline in February leading to a decline in total sales by 12 percent from the previous year. Sales on the entirety of 2019 in the realm of hardware are also down by 12 percent. This is to be somewhat expected though as we near the end of the PS4 and Xbox One life cycles. 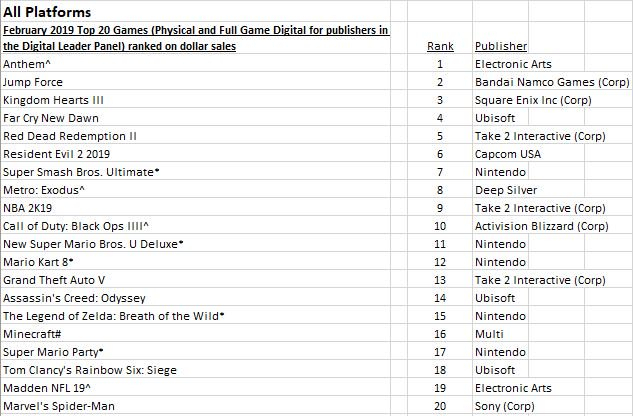 With another contentious month full of releases here in March 2019, it’ll be interesting to see which title stands above the rest when the next NPD sales figures come through.